Basically i'm trying to make a COOP map for two players and have unlimited spawns - I can't seem to get this to work. Nope. If you want to respawn, you want to setup the mission as a dogfight and not as COOP. As Riksen stated, you'd have to setup your mission as a dogfight mission instead of a cooperative mission. To do this, you'd need to use an airfield MCU instead of just individual planes. Everything else can be as if it was a cooperative mission. You can even setup victory conditions to equal how many enemy planes or objectives are destroyed (win), or how many planes you guys lose (loss). See pg. 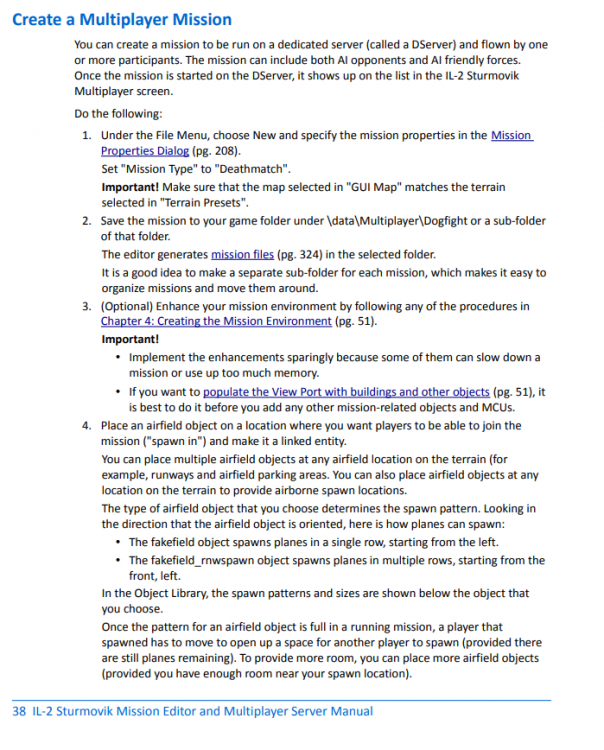 38 of the unofficial mission editor manual by JimTM for more information. Thanks for your response gents, I've tried this now but for some reason when I start the map up for me and my friend to use we load in and can only spectate, I tried the dogfight example provided with the game and it's the same with that too. Why are we unable to select plane and load out like in Cooperative which works fine? Hi Sitting Duck, it was the Example Template that comes with the Sturmovik game not a custom map, we can see both sides fighting just cannot participate. 2nd guess -> You're running a cooperative server and a cooperative mission when trying to use an Airfield MCU to spawn into the mission; which will not work. You'll have to run a dogfight server (through dserver) and a dogfight mission to spawn in via an Airfield MCU. Otherwise, in cooperative you can only use a single plane to spawn in.  Within Sturmovik, I'm clicking Mulitplayer then Dogfight then selecting the Dogfight Example provided with the game. Do you have to run through a DServer for Dogfights? I'm pretty certain you have to run dogfight servers as a dedicated server through dserver. Cooperative though, can be run through listen servers. No you can run Dogfight Missions through the In Game DF Server.